IT in the NHS has had a bad press in recent years as a result of the problems associated with the now defunct £12bn NHS National Programme for IT, but most doctors in England believe IT improves patient care. 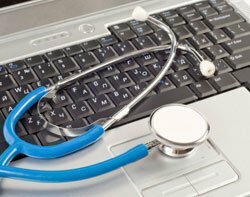 IT in the NHS has had a bad press in recent years as a result of the problems associated with the now-defunct £12bn NHS National Programme for IT (NPfIT), but most doctors in England believe IT improves patient care. An Accenture survey of over 3,700 doctors in eight countries, including 500 in England, revealed that about two-thirds of English doctors believe that IT will improve the provision of healthcare. The ability to integrate cross-reference NHS data through IT is seen as a benefit to research, cross-NHS coordination and a ways to reduce medical errors. Last year the coalition axed the centralised NHS NPfIT in favour of local decision-making. NPfIT was blighted by missed deadlines and spiraling costs which distracted from its purpose, which was to improve healthcare. The survey found that 61% of English doctors think IT will benefit healthcare compared to the 59% global average. Almost three-quarters (71.4%) of England's doctors believe that connecting care through IT will improve research through better data; 67.1% say IT will improve coordination of care across different medical services; and 64.9% think there will be fewer medical errors as a result of improved IT. Just over half of physicians believe that healthcare IT will result in increased speed of access to health services to patients (55.3%) and will reduce the number of unnecessary interventions and procedures (52%). Jim Burke, managing director, UK health industry at Accenture, said it is encouraging that physicians recognise the benefits associated with integration of currently siloed patient data. "This is enabling better clinical research and integrated care pathways. As this trend grows and these connected health solutions are established and expanded, patients will benefit and the recently announced government initiative to make increased use of healthcare data for clinical research will become a reality,” he said.